The Chuck-Style Rotary is used for cylinder object such that the material is clamped by the 1/2" Jacob's Chuck. The material is rotated by degrees of chuck rotation. 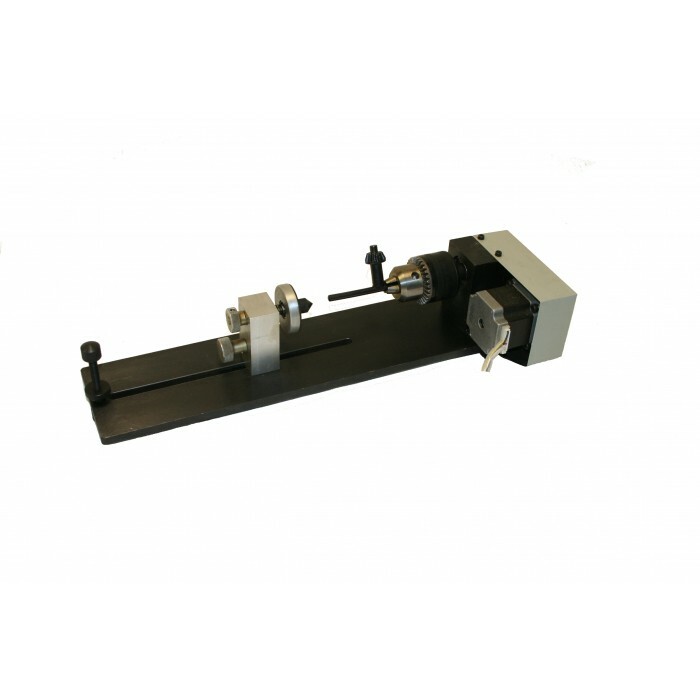 Applicable materials include primarily round objects with diameter smaller than 5/8 inches. Examples: wooden dowels, pencils, pens, pipes, rod..etc. This model is also referred to as the XZ-K-II unit.